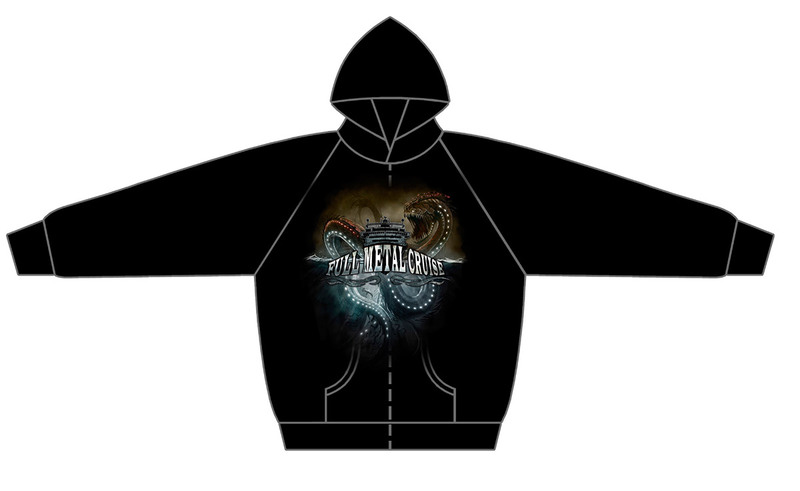 When the climate gets nippy out at sea and you still desire to be a heroic cruisader who withstands all sea monsters ardently this FULL METAL CRUISE hooded zipper is exactly what you are looking for. The front shows the scene with the mighty sea snake attacking the liner already known from the t-shirt. A solid zip fastener divides the impressive print and the fanny pack into half. 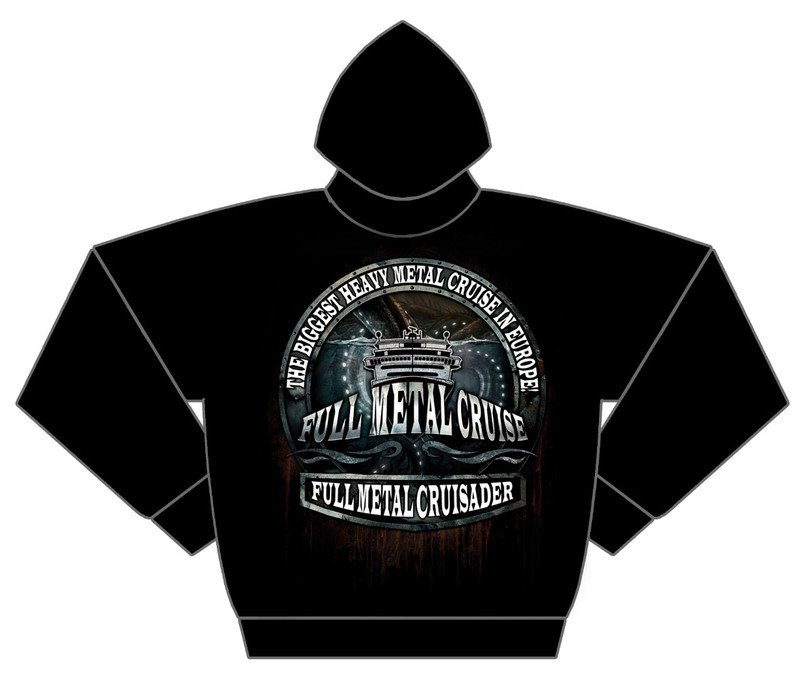 The back design as well can also be found on the t-shirts and presents the FMC-Logo in a bull eye frame flanked above and below by both event slogans.The pleasant horror you feel when you behold the detailed print is the extra flash to receive and makes this hooded zipper an essential part of each cruisaders attire.